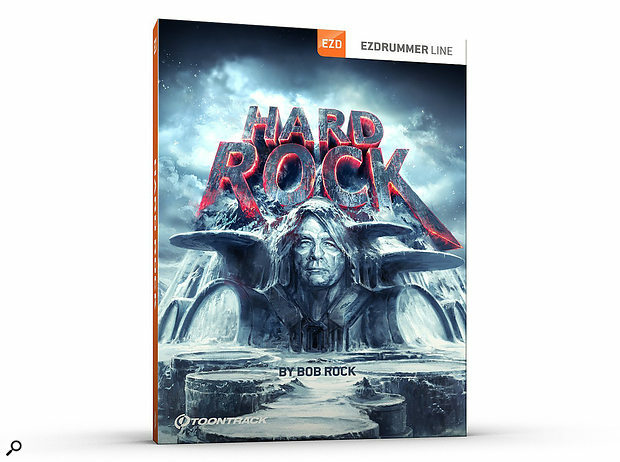 The range of kits available for EZdrummer is now spectacularly broad, but I get the feeling that the guys at Toontrack have a soft spot for the harder side of rock. This new EZX pack was created from existing recordings made for Superior Drummer 3 Rock Foundry — and rock is most certainly what it delivers. Recorded in the main hall at The Warehouse studio in Vancouver, Hard Rock is based around two drum kits, a custom Gretsch and a classic three‑ply Ludwig. Each is set up with a single kick drum, two rack toms and two floor toms. To add to the rock credentials, Bob Rock handled the recording and production using some choice outboard gear. Bob’s CV includes Metallica’s Black Album as well as work by Survivor, Bon Jovi, Aerosmith and Mötley Crüe, so he knows a thing or two about rock drum sounds. The Gretsch kit is described as having a brittle sound with a distinct attack, making it well‑suited to modern rock styles while the darker‑sounding Ludwig works well in a vintage rock context. As with previous EZX packs, the kits come with alternative choices of kit parts, specifically five kicks (24‑ and 26‑inch models from Yamaha, Ludwig and Gretsch), four snares (Ludwig, Dunnet, Tama and Brady), seven toms (Gretsch and Ludwig), eight Sabian cymbals and two sets of hi‑hats, which in combination with a mixer for the various mics, makes it easy to create and save custom kits. The standard one‑shot (clap, shaker, tambourine) percussion sounds are also available, as well as the usual range of artist presets and some well‑conceived MIDI grooves and fills that show off the attributes of these two drum kits. 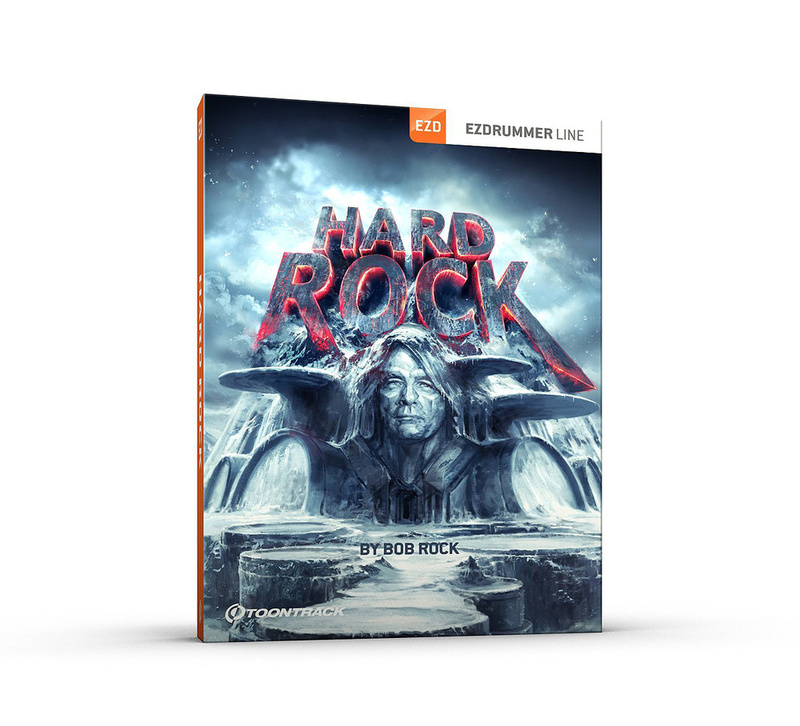 Bob Rock contributed three kit presets with the others set up by Toontrack. As you might imagine, these kits have a big, punchy sound, but there was rather more range than I’d anticipated with hard‑attack Scandi rock at one extreme and a rounded Nick Mason‑type of sound at the other. The Dunnet snare is my favourite for more classic rock and the Ludwig best for those needing a harder attack. The mixing tools include separate faders for reverb and room ambience as well as parallel compression. Tweaking your own custom kits is very easy as there are fewer mixer controls than with some of the other EZX mixers, but still everything you need to get the job done. I’ve no doubt that the unique ambience of The Warehouse main hall, with its brick walls and wooden floor, plays a large part in the sound of these kits, while Bob Rock’s input has really paid off in the production department. This could be one of my favourite EZX expansion packs so far.